As is so often the case in FIFA, pace is once again king in FIFA 19. Being able to break away down the wing remains one of the most effective ways to set up goals, meaning that if a player is quick, then they are usually pretty valuable. To help you identify the fastest players in FIFA 19, we've pulled together this FIFA 19 Fastest Players Guide. These are the players with the highest Pace values in FIFA 19, ranked from worst to best. For more on FIFA 19, head over to our FIFA 19 Guides hub. It has a ton of useful info on FIFA 19, like what the PC specs are, how to score lots of goals easily, and who the best young players in FIFA 19 are. 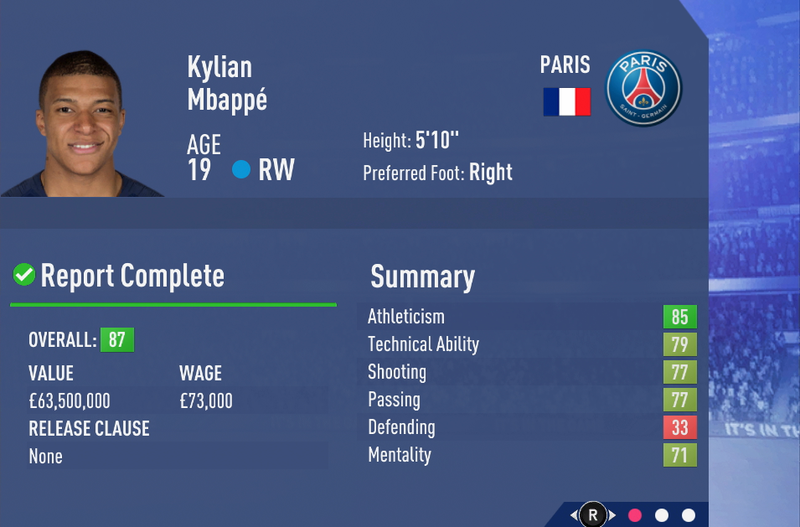 When building a team in FIFA 19, Pace is a hugely important thing to consider. You’ll want at least one attacker with high Pace, so that you can make plays and break away from the opposition. Now, Pace needs to be paired with a decent Physicality and Dribbling rating as well, so that you can hold your own against a sturdy defense. We’ve listed the fastest FIFA 19 Players Below, so be sure to keep an eye out for them while scouting. Fast players are hugely useful for breaking past defenders and whipping in crosses. This alone makes them valuable, but being able to dart up and down to help out defense if needed can be a huge help as well.